Hawaii is known for the many picturesque beaches lining the edges of our islands. On Oahu, venture to the West Side, where crystal clear waters and sunny skies provide a picture-perfect backdrop for visitors and locals alike. Take the road less traveled and visit these five hidden gems on Oahu’s Leeward coast. Situated at the end of the road through Nanakuli is Yokohama, one of Oahu’s most secluded beaches. Yokohama is a sight for sore eyes, complete with lush mountain ranges hugging the bay and a far stretch of white, pearlescent sand. At the start of the winter season, the tide rises, transforming Yokohama into a famed surfing and bodyboarding destination. Inexperienced swimmers are advised to stay out of the water during those months. You’ll definitely be “shocked” when you jump into the warm, electric blue waters of Electric Beach. Located just beyond Ko Olina is a watery spectacle for snorkelers to explore. Fun fact: an electric pipe installed by Hawaiian Electric Company runs through this beach, pumping out clean warm water that attracts marine life to the area. For a serene resting spot, you can’t go wrong with a visit to the Ko Olina Lagoons. These four jewel-shaped bodies of water are accompanied by a mile and a half of soft seaside paths. Parking for the beach is open to the public all day. The nearby Ko Olina Resort area is also home to four grand hotels, a premiere golf course and countless gourmet restaurants. Pokai Beach, also known by its original name of Malaea, meaning “calm” or “serene,” is true to its name. A breakwater wall in the water neutralizes incoming waves, making this spot ideal for beginning swimmers and surfers all year long. Find Pokai Beach nestled between Kaneilio Point and Waianae Boat Harbor. 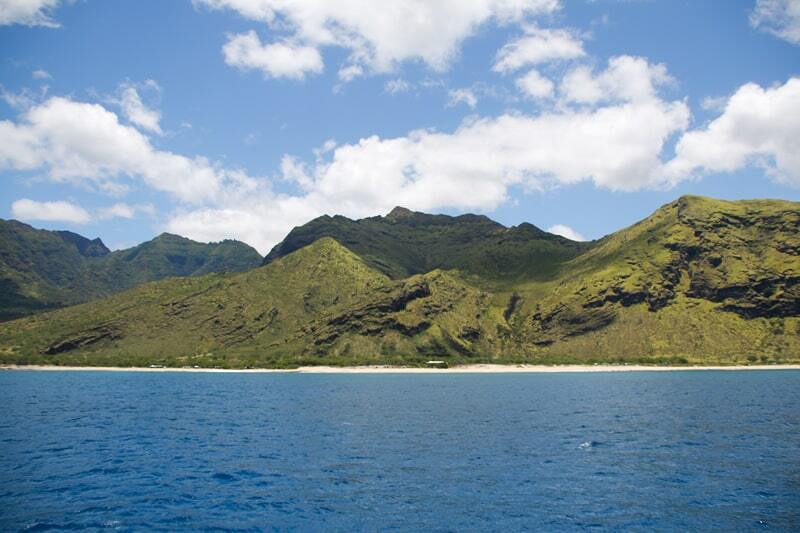 At the foot of Makua Valley’s majestic mountains is Oahu’s most sacred beach. Here you’ll find cerulean waters clear enough to see through to the bottom and powerful swells of waves during the winter season. Legend states that Makua Valley is the first point of the island that rose from the water, hence Makua meaning “parent” in Hawaiian. If you’re lucky, you might spot spinner dolphins herding into shore together to rest after their long day of play. Join Dolphin Star, and we’ll take you on a snorkeling journey to one of our favorite West Oahu beaches! Buy your tickets today at Dolphin-Star.com or call (808) 983-STAR (7827). School Field Trip: Learn About Dolphins at Sea! Calling all Hawaii teachers! 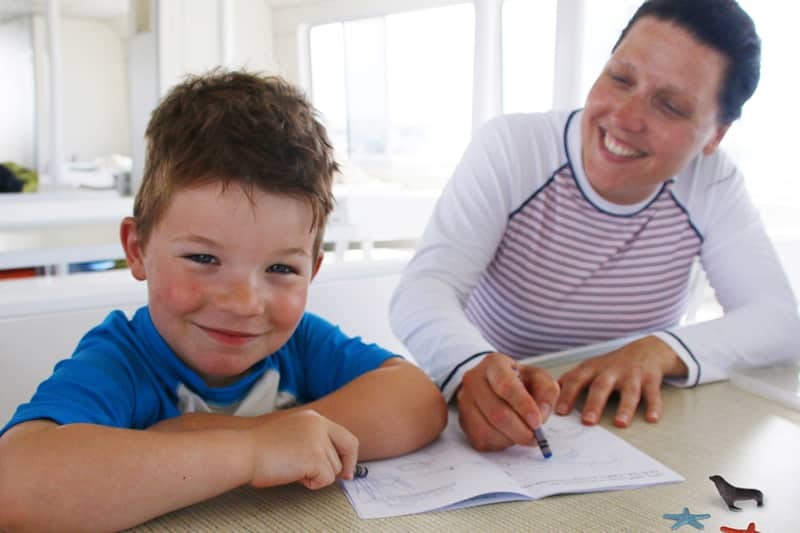 Switch up your students’ learning environment and bring them aboard the Dolphin Star for an educational adventure they’ll never forget. In an effort to promote cultural and marine awareness, Dolphin Star is proud to offer fun, affordable and educational cruises for Hawaii’s public and private school students in grades 2-5. Aboard the eco-friendly, two-deck and 149-person Dolphin Star, students and educators alike will enjoy a memorable Hawaiian eco-tour complete with sunny skies, crystal clear waters and picture-perfect views. Our large, open-air catamaran is specifically designed for dolphin viewing, and powered by eco-friendly hybrid engines. Aboard our outdoor classroom, keiki will have a blast spotting wild dolphins and other marine life while learning more about these friendly marine mammals from our crew of certified Naturalists. Students will love our interactive keiki program, especially the souvenir activity book they’ll receive! For 2019, our Wild Dolphin Watch Educational Cruises for grades 2-5 is $32 per person (valued at $71 adult and $43 child); max of 50 people per cruise. Click here to download the special Educational Cruises application, or call (808) 983-STAR (7827) for more information. For fully-sponsored Educational Cruises, click here to download the flyer and application.